One of the most important aspects of getting an accurate coin collectors appraisal is making certain that the appraiser has a good reputation. Many times people are not even slightly aware of the value of the coins they have in their coin collection. Perhaps the collection was given to them by a relative or they inherited it as part of an estate settlement. They may have even saved all the coins themselves over the course of many years. Regardless of how the coin collection came to be, becoming an educated coin collector is the first step in having your coins appraised. There are many ways to locate an honest and trustworthy coin appraiser. One excellent method is to call your insurance company and ask if they use, or know of, any reputable coin appraisers. If they do not know of any, call other insurance companies in your area. If there are no PNG members in your area, find a coin dealer or appraiser that is experienced and held in high regard by his peers and the community. The appraiser should follow high ethical standards. When using an online coin appraisal service it is essential to use caution when choosing an appraiser. Find out as much as you can about the appraiser by using sites such as Rip Off Reports. Check with the Better Business Bureau online. Do an online search to find any feedback regarding the appraisal service. Check for membership in any of the numismatic associations. If the appraiser is an eBay seller, check the eBay feedback section. Carefully read the appraiser's website for terms regarding his or her services. 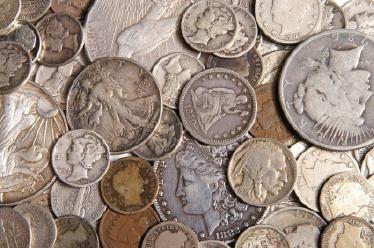 The following links are excellent resources for coin collectors. The Red Book US Coin Guide is an invaluable resource for identify, grading and pricing coins. The Blue Book lists wholesale values of coins that the dealers pay. Hertitage Auction lists every U.S. coin made along with current and past auction values. They have over 1,846,000 past auction lots with images in their archives making this an excellent tool for valuation. Coin collectors appraisal services are an invaluable resource to coin collectors but care must be taken in choosing an honest and ethical appraiser. Coin collectors appraisal services are an invaluable resource to coin collectors. However, care must be taken in choosing an honest and ethical appraiser.